New Mouse City is in danger! There is only one way to bring harmony back to the island. 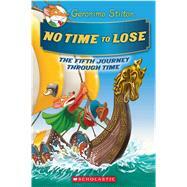 Geronimo and friends must travel back in time to retrieve King Solomon's Ring. Along the way Geronimo visits Napoleon, the Vikings, and the ancient Cretans!